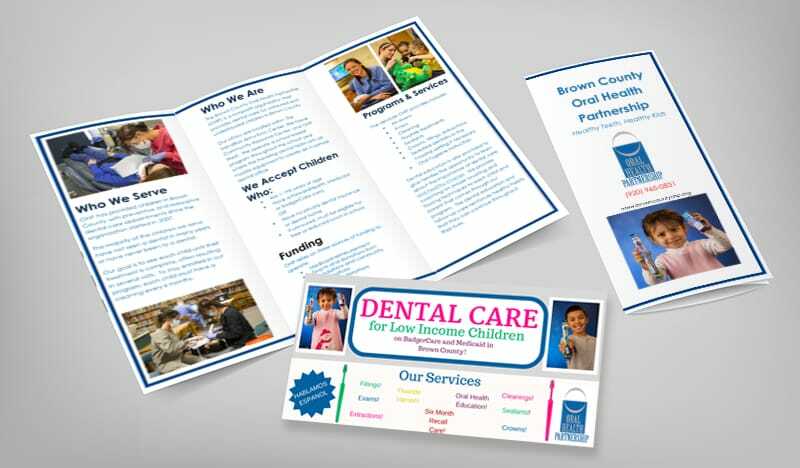 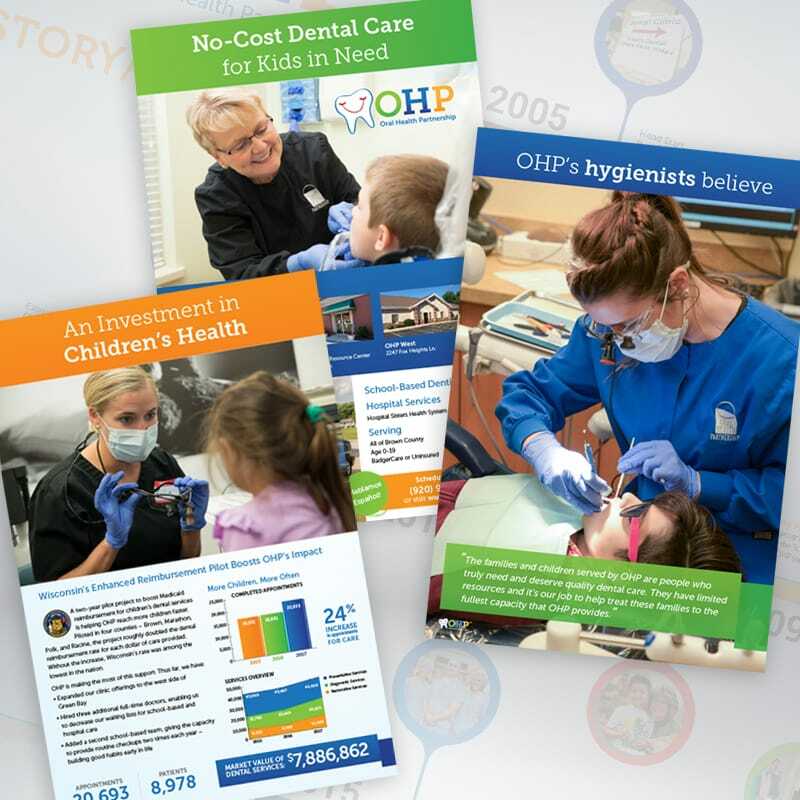 When we met with Oral Health Partnership, their branding was in dire need of overhaul. 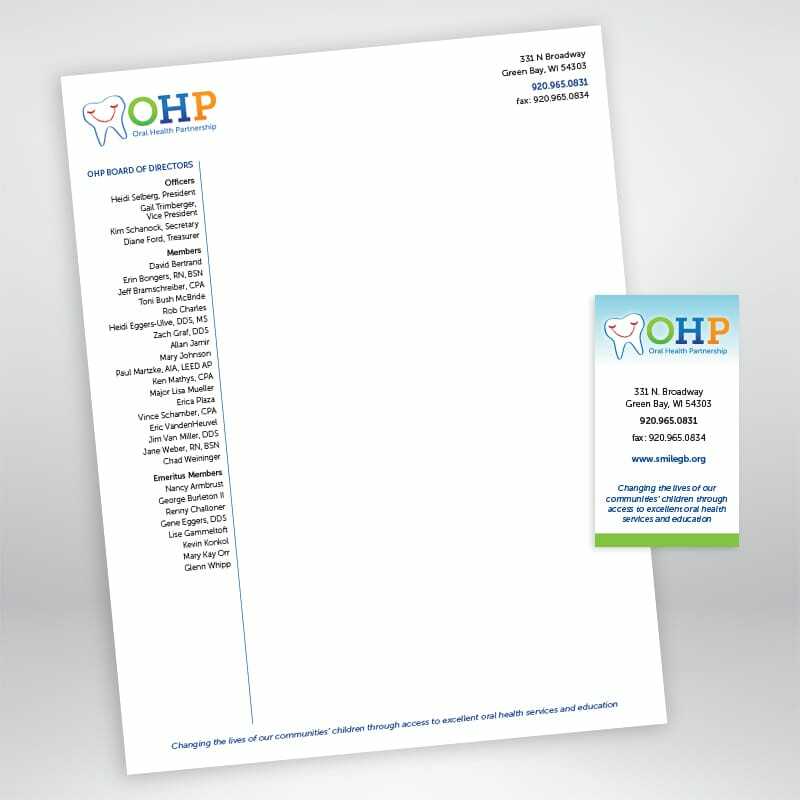 The name was overly long, the logo was difficult to read and outdated looking, and their marketing materials were put together by various office personnel and designers and had no cohesive look. 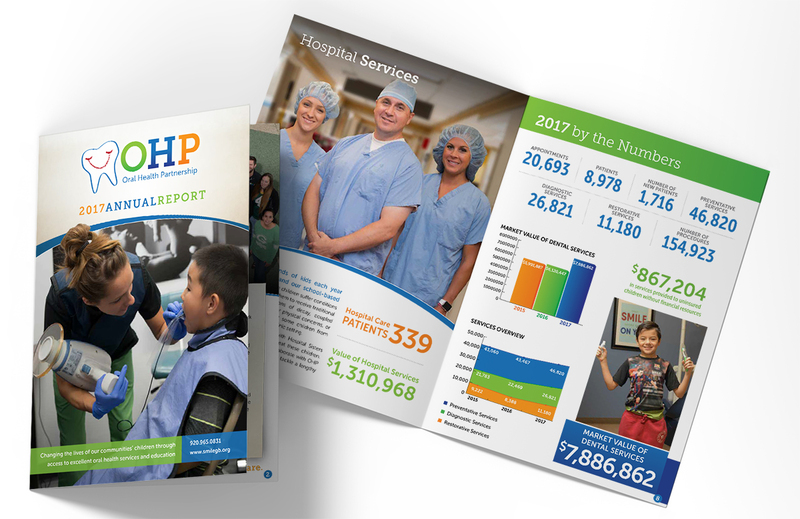 Using some pieces that they liked, and with the idea that their look needed to be more colorful and family-friendly, we came up with a new logo, designed a new user-friendly web site, provided them with a HIPAA compliant hosting solution, and re-designed their corporate package and marketing materials.